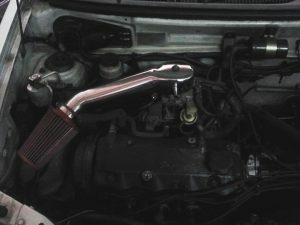 Our product and services go hand in hand with our core strength- Engine Calibration, often referred to as Engine Tuning. 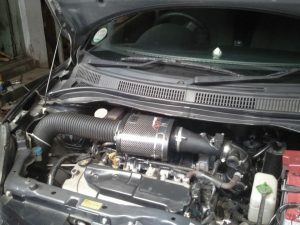 A Dynamometer is of 2 types – an Engine Dynamometer to which an engine is connected and a Chassis Dynamometer which is used to test the Vehicle. Both Dynamometers trace the engine’s performance but with the difference that performance in the first case is recorded at the Flywheel and in the second case, recorded at the vehicle’s wheels. he Throttle may not always be at 100% open position or the peak fuel injection quantity may not always be reached. You, fellow enthusiast, would have sampled this ‘part throttle performance’ all the time driving in the city. 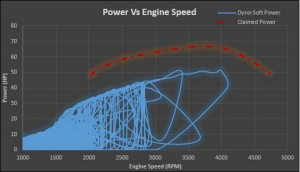 In fact, many of you choose your cars based on this part throttle performance without really seeing any graphs or curves but in the manner the car responds at low revolutions and high gears. This is what is called driveability. Based on our EVA 2.8 Device now successfully deployed at OEMs, Dyno-Soft uses our cutting-edge combustion algorithms using data from the OBD-II datastream to calculate the torque and power at the Flywheel. These algorithms use several parameters related to combustion including EGR, Ignition Timing, MAP etc. 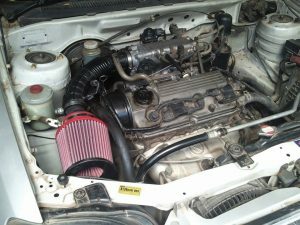 besides the standard parameters used to calculate engine performance. 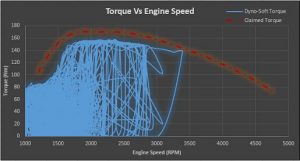 Parallel to the combustion algorithms, before each Dyno-Soft test on the highway, a separate set of algorithms are manually calibrated for engine hardware details for the most accurate output at the Flywheel. 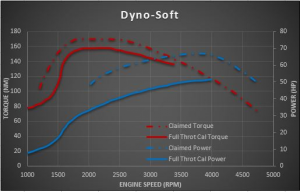 Dyno-Soft will not just show your engine’s ‘Full Throttle Performance’ but ‘Part Throttle Performance’ for a far more detailed insight into engine performance in actual atmospheric pressure and temperature conditions. Dynamometer for everyone. (2) The Add-On Module Route (also called tuning box). Add-On Module commonly known as a Tuning-Box is no ordinary unit unlike other Fixed-Map and EEPROM Serial Reprogramming modules. Apart from the usual features like standard Male-Female connectors to ensure a clean and quick installation with no cutting and snipping wiring, it is a Mini Electronic Control Unit (MECU) equipped with a Flash Memory which enables us to customize the software parameters as per your driving style, power requirements and even Environmental (Geographical/Altitude specific) based calibration. 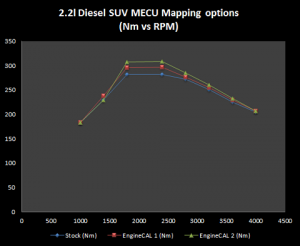 The EngineCAL MECU supports real-time calibration, in other words, we tune as you drive and the changes made by us can be immediately felt by you. The MECU is one of the few tuning boxes in the world which give such tremendous calibration flexibility to the Tuner. 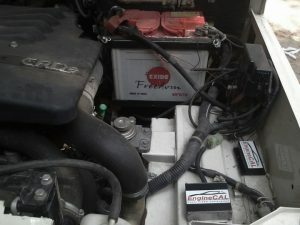 It creates a new segment in Diesel Tuning which is in between conventional Tuning Boxes and Stock ECU recalibration. MECU installed in a 2.6l diesel engine. Calibration is performed Real-Time for a true customized experience. Besides catering to customized needs in performance and fuel economy, the MECU can be finetuned for Altitude specific application. using the MECU wireless remote. No interference with the original manufacturer’s engine equipment. 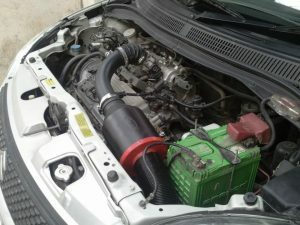 (4) Complete air-system and exhaust-system work.